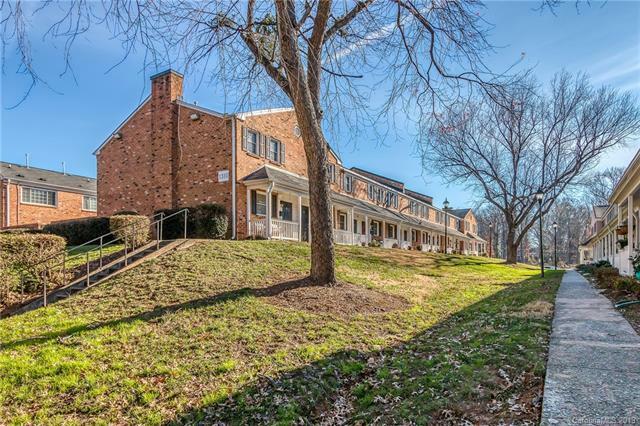 Terrific 2-story condo MINUTES from Uptown in the vibrant Commonwealth area near Plaza/Midwood. Walk to the boutique shopping, restaurants, watering holes, bars & businesses that make this trendy area so inviting - day and night. INSIDE: granite kitchen counters & coffee bar, new stainless steel appliances, new fan & light fixtures. Samsung double convection oven, GE Quiet Power dishwasher, newer Samsung French door refrigerator in black stainless steel. UPSTAIRS: Two nicely-sized bedrooms, double-sink bathroom, and laundry closet with brand new Whirlpool stacking washer & dryer that will remain. Neutral newer carpet upstairs, fresh wood laminate on main. HVAC 2 years old. OUTSIDE: covered front rocking chair porch, enclosed rear paver patio with privacy fence, gate to common area and raised bed planter for gardening. Hard to find price below $200,000 and so close to the city! Move right in.